If you’ve been struggling with losing weight due to a lack of motivation, discipline or willpower, then this article is for you. I want to share a scenario with you. If you've been struggling to lose weight, then you will definitely be able to relate in some way. You hop in the shower before heading to bed. It's the first time you've taken a moment to stop and look at yourself in a while, and you don't like what you see. "When did I get those handles on my hips!?" You cautiously step on the scale, a three digit number flashes across the digital display, and you can hardly believe what you see. You knew that you had gained some weight, but never thought you would see "that" number. "That does it. Diet starts Monday." You have one last “hoorah” Friday night (B&J’s Chunky Monkey was calling), and you get everything ready for the coming week. You set up your plan and do all your grocery and workout clothes shopping beforehand, so you have no excuses. Before going to bed on Sunday, you do one last scroll through Instagram #fitsporation photos to hype yourself up. For the first few weeks, everything goes great. You drop a few pounds, have a ton of energy, and there doesn’t seem to be anything that can stop you. "Taste just as good as the real thing!!" Everyone who has dieted knows this scenario all too well. You start out motivated to lose weight only to lose most or all of your original drive a few weeks into dieting. No one doubts the importance of motivation. Without it, you’d never have the external and internal drive to accomplish your goals. The truth, though, is that motivation is fleeting. There is a way for you to stay committed to your goals, even when your motivation is running low. Essentially, accountability keeps you consistent by having you report back to someone what you’re successfully–or unsuccessfully–doing with your diet and exercise regimen. What makes accountability so powerful is that it doesn't matter how little motivation you may have to do something. If you know that there is someone, or multiple someones, expecting you to report back to them, you’ll get it done. At its core, accountability creates consistency, and if you aren't consistent, you'll never reach your goals of losing fat and building a lean, healthy body. How can we create accountability for better consistency towards achieving our weight loss goals? Here are three strategies that you can start implementing immediately, so you can start seeing results as quickly as possible. Support groups are a fantastic way to create accountability. They reason they work so well is that they surround you with people who have similar goals and desires. What's more is that support groups can serve as an outlet to express concerns or issues you may run into during your journey. "I overate on that freakin' Trail Mix last night, what do I do?" "I haven't lost weight on the scale, but I feel that my progress photos say otherwise? What do you all think?" They don't have to be in-person groups either; you can form support groups virtually as well. Facebook groups and forums can provide most if not all of the accountability benefits of an in-person support group. Another great way to find accountability is through competition. For example, you could create a "step" challenge within your support circle to see who can get the most steps in a week. Or you could see who can go the longest without missing a workout. Notice, though, that those challenges aren't about who can lose the most body fat, lift the most weight, etc. Rather, they are about doing things. You don't have complete control over the results that you get. However, you do have control over how you go about DOING things to achieve certain results. You may not be able to control how many pounds you lose per week, but you can control how many steps you do in a week, or how many workouts you accomplish in a row without skipping. We have the tendency to overpromise and underdeliver when it comes to our personal goals. The problem with doing this is that we set ourselves up for failure by trying to change too many things (habits) at once, which can only lead to disappointment. When you try to create too many habits at once (i.e. eliminate sugar, workout every day, etc. 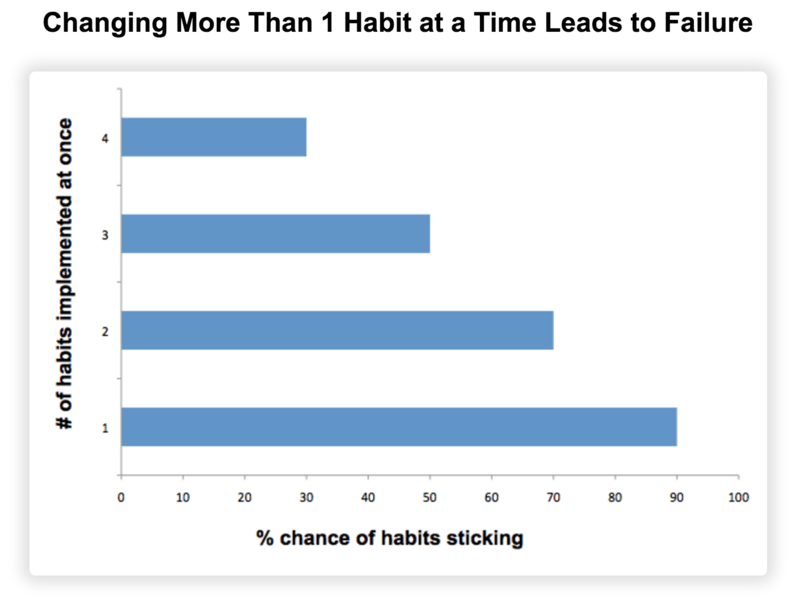 ), you drastically reduce your chances of sticking to new healthy habits and changes. Going for brisk 40-60 minute walk 2-3 times a week. The best part about making small changes is that they add up over time to create significant and noticeable progress. Plus, once you form a habit that sticks, you’ll create accountability within yourself the keep the streak going. You know that feeling you get when you don’t brush your teeth before bed? That's what you want for your healthy habits. You want to feel "off" when you don't follow through on them. I never reached out to another person for help. I kept myself isolated, and what resulted was years of diet and exercise obsession that kept me from finding true freedom from my weight. Yes, I was lean and physically healthy, but I still felt like food and exercise controlled me. I was still “heavy” in my head. It wasn't until I opened up to others, and more specifically, formed one-on-one personal relationships that I felt truly free from food and my past-self. There's no doubt that support groups create accountability. However, a one-on-one relationship can allow for a more personal and effective accountability experience. It can be easier (and sometimes, more helpful) to unload and express emotions to another person rather than a group of individuals. The first is to turn to a friend with whom you already have a relationship. Reach out and explain your health goals to them. Express how their support & accountability would benefit you throughout your journey. The second is to hire a coach or personal trainer. Many of my clients already know how to workout, however, they work with me because of the accountability factor. You may not be motivated after a long day of work, but you'll be much more likely to get to the gym if you have a trainer waiting or an online coach expecting your workout report. 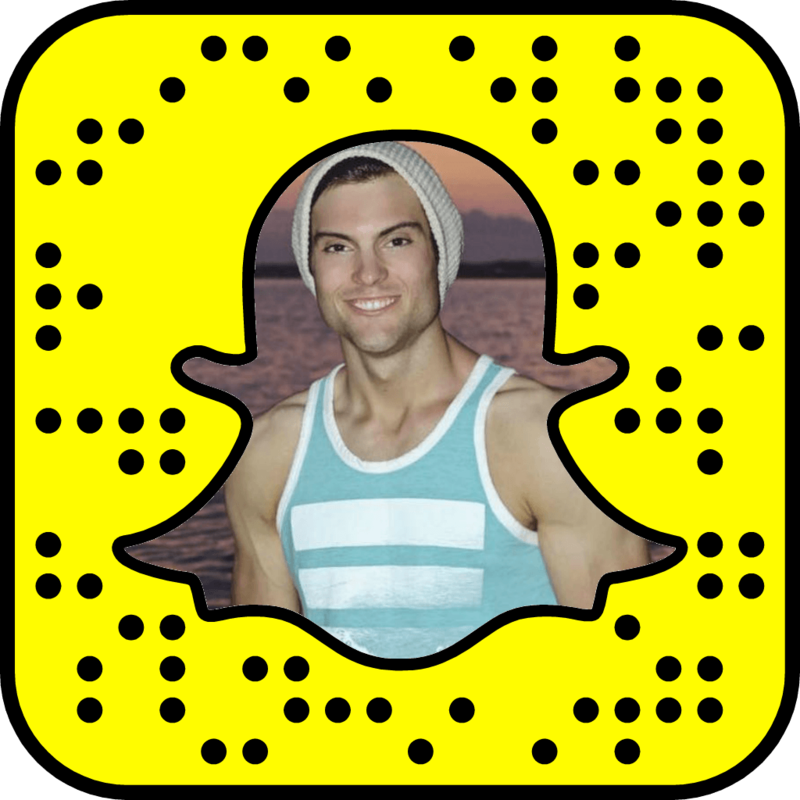 Want Me To Help You Stay Accountable? You could have the best exercise and diet plan in the world, but that doesn't guarantee you'll always feel motivated to execute on it. Accountability is one of the main reasons why I offer online coaching. Along with teaching you my flexible dieting and exercise strategies for losing fat, I also provide a continuous flow of accountability. I've lost weight, and quite a bit of it. The physical aspects of losing weight are tough–no doubt about it–but from my experience, it's the mental side that trips up most people. If you'd like help staying consistent with your exercise and eating plan, then I'd be more than happy to keep you accountable for reaching your fitness goals. If you're interested in learning more, send me an email or fill out this form, and I'll get back to you directly to strategize a plan for accomplishing your goals. If you found this article helpful, I would super-duper appreciate it if you shared it with someone else who you think it could help. Better yet, send to this someone as an invitation to be your accountability partner! Ready to Lose Fat Once and For All?